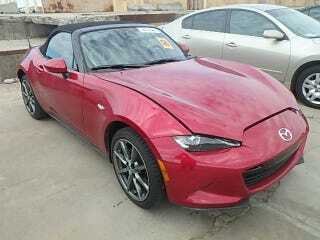 Why buy a ND MX-5 Miata new? When there’s a Launch Edition 2016 MX-5 Miata on Copart with 18.6k miles at a current bid of $200! The only downside is that it has a SC salvage title due to flooding, although judging by the looks of the clean interior, I think only the carpets might’ve gotten wet, if at all. This could make for an awesome autocross toy or even a race car! Who cares about electronics when it’s all going to get ripped out and have a lightened wiring loom take its place?